The current price is 92500 Euro. 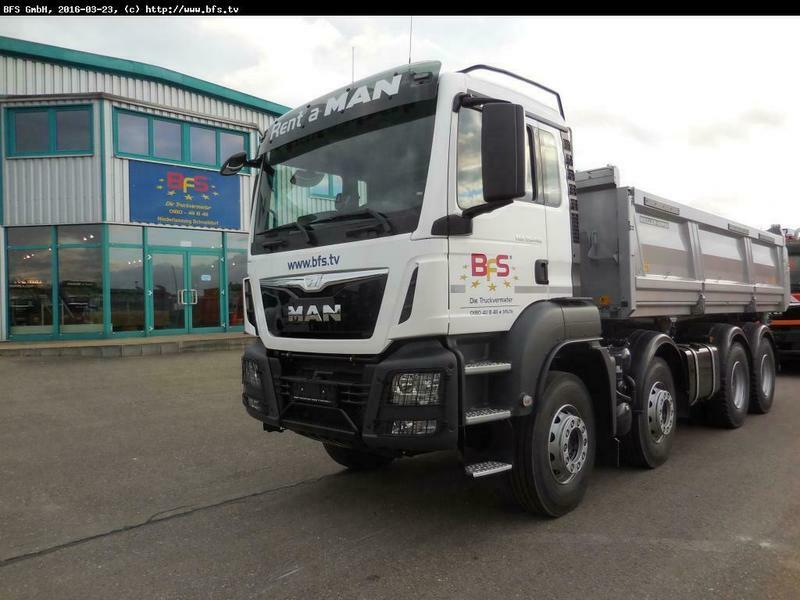 Check the technical data of the unit, picked out from the catalog of MAN TGS 35.440 tipper. This piece of special equipment was produced in 2016. Engine details/gearing and fuel type: diesel, 441 hp, gearbox: manual. Wheel formula and suspension type: 8x4, number of axles: 4, ABS, trailer coupling. Cab comforts include air conditioner, cruise control. The mileage is 65488 km.